Naomi Klein, This Changes Everything , 2014. Mackenzie Wark, Hacker Manifesto, 2004. Do you want to take part in co-creating what could be the most innovative mass disobedience action against climate chaos? Does the border between street action and cyberspace excites you? Do you want to plot the worlds first Non-violent Civil Disobedience Direct Action Adventure Game ?Are you an artist, activist, hacker, gamer, graphic or web designer, who loves collaborative projects? In the lead up to the protests at the Paris COP21 Climate Summit in December 2015, The Laboratory of Insurrectionary Imagination is joining forces with the climate justice movements to co-create a new form of disobedient action: Climate Games. This mass participation transmedia action framework merges the street, bodies and cyberspace, and will turn the city into a total creative resistance event open to all. During Climate Games, teams aim to achieve missions, which allow them to score points by taking action against the root causes of climate change, in one city or beyond. These will be non-violent forms of creative action, from blocking lobbyists from influencing the United Nations to performative interventions, political street art to shutting down an open cast coal mine, These actions take place without central coordination but teams can use an open-source smart phone application to report in real time on their achievements. 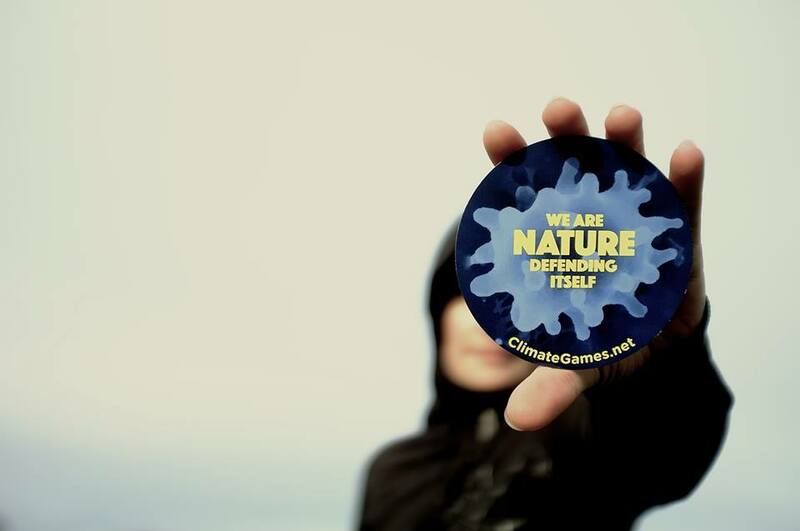 Throughout 2015, Climate Games will be developed via a series of hackathons, spaces of intense cooperation and self-management, using popular educational tools, games and horizontal forms of decision making that will bring artists, activists, designers, scientists, hackers, architects, gamers, performers and other citizens together to conceptualise, and build the Climate Games together. Thus, we will explore the edge between public space and cyberspace, the virtual and the real, the world of gaming and the world of activism. From the 2nd to the 7th of June, the second hackathon will take place during the 2 Degrees festival at Arts Admin, London. On the 7th of June we will test certain elements of the Game in a warm up round in the city of London. During this Hackathon, we will carry on with the work that started in Ghent, developing further the game play, rules, overall narrative and aesthetics of the Climate Games as well as the development of the website. It will not be a space filled with geeks on computers, far from it ! Ours will be a lively workshop that shares knowledge and introduce newcomers to forms of creative resistance. We are calling on anyone who wants to defeat those who play deadly games with our climate to join for a week of collaboration and creativity. The hackathon is free but places are limited. If you would like to apply please fill in the form here. The deadline for applications is Tuesday 5 May. We will let you know if you have a place by Monday 11 May. Please note that food will be provided during the Hackathon for participants and that there will be a small fund for travel bursaries. However participants will need to organise their own accomodation. To ‘hack’ is to redesign the use of something, to make something do something it’s never done before, #hackcop aims to transform the way we plan and carry out creative resistance in the name of climate justice, using the combined knowledge of citizens and experts working together.